The movie tells the story of Radu, a young man who left to Italy for work, coming home after a year. He finds Monica, his wife, totally changed and their child, Luca, even more grown up than he expected. This couple spends an entire night trying to find themselves. The time that they spent apart from each other created mistrust and confusion between them, but it also gave them the possibility to start again. 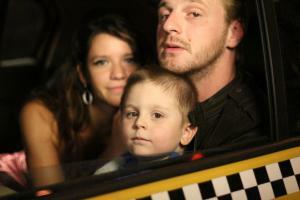 The leading actors are Alexandru Potocean and Ada Condeescu. The director of photography is Liviu Marghidan and the film’s editor is Ioan Ioachim Stroe.